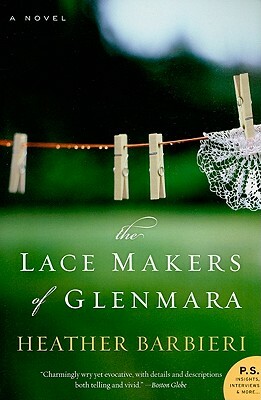 From the author of Snow in July comes The Lace Makers of Glenmara: a “charming, moving story, written with a delicate touch” (Joanne Harris), as a struggling young fashion designer journeys to Ireland to mend a broken heart, and helps a group of local lace makers change their lives—and her own. Fans of the strong feminine voices of contemporary Irish literature such as Maeve Binchy (Nights of Rain and Stars, Tara Road) and Cecilia Ahern (P.S. I Love You, Where Rainbows End) will fall in love with The Lace Makers of Glenmara.